Alternative Earthcare has been successfully providing organic lawn care to our customers for over 15 years. Many of our products and methods were developed along the way through trial and error. We believe we have the best organic methods and balanced products in the industry. Our organic programs work! They do take time though and you must be patient. You may experience a bit of a higher level of weeds in your lawn in the beginning or transitioning phase. This is normal as it takes time for the lawn to establish itself and detoxify. When a true organic lawn gets established it will become thicker and crowd out most the weeds itself but this takes time. Our organic lawn care program here in Long Island consists of and starts with 6 visits of proprietary 100% organic balanced fertilizers. Our balanced natural fertilizers help the lawn recover from summer stress and greatly improve the density and green color of the turf. These applications are done based on the timing and growing degree days for the weather that we are experiencing for that particular year. This ensures the products are being most effective and release at the right time which encourages turf vigor and a quick spring green up. We use corn gluten for weed control (provides a barrier that prevents weed seed germination naturally) when we can according to the size property and we employ a process called IPM (integrated pest management) for the pests which means we only treat the specific areas affected. We also use beneficial nematodes to control grubs when necessary. We spot spray for weeds with a natural fatty acid based least toxic weed control. This is done on an as needed basis with our technicians constantly looking for possible problems to treat and rectify. Also by using our custom blended compost teas we are introducing organic matter to the soil and compost tea acts as a natural deterrent to fungus and disease. We also check the PH of the lawn at the beginning and end of each season and apply lime as needed. Lime is very important in regulating and raising the PH level as a proper PH level helps the plant with regulating nutrient uptake. Finally and most importantly we core aerate and over seed the lawn every year with our organic programs just like the golf courses do. Seeding is extremely important in order to continuously fill in the bare spots to prevent weeds. This ensures a really thick, dense weed free lawn. Our seed varieties are hand selected and reflect the best possible quality and type for the area it is being applied (sun or shade areas). We also do add various micronutrients and fungicides on an as needed basis depending on what might be trending with our other customers landscapes in any particular year. Lawn disease treatments can be applied any time the need arises by our lawn care technician. 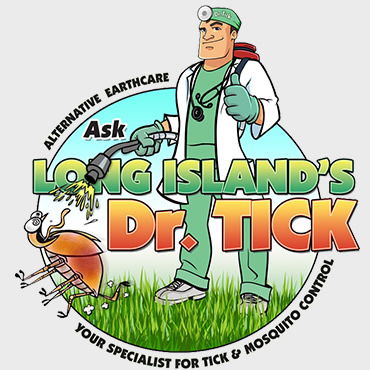 Long Island has all the right weather conditions that help promote disease and fungus in lawns. Heat, high humidity and moisture all lead to and can cause an outbreak of fungus and disease at almost any time. Even drought stress can weaken the plant making it more susceptible to problems. Lawn diseases will often take on an appearance of brown patches of various sizes and shapes and can spread very quickly if not treated right away. All diseases are not the same and they will have various telltale signs that need to be diagnosed properly. Our lawn care technician will know the exact treatment action to be taken. All of our staff is properly trained to know what to look for and how to correct any situation. Many times lawn diseases will lay in wait in the lawns thatch layer waiting for the right set of weather conditions to become active. Many funguses are always present in our lawns. Pathogens are the main culprit in lawn disease and are always present. The key is to have our service tech apply our specialty balanced fertilizers and nutrients to your lawn before a problem arises; keeping the lawn healthy is the key. If the lawn is healthy it will bounce back from any outbreak of a lawn disease or problem. A healthy lawn will resist a problem if it is properly fed and watered. When and if a lawn disease does arrive and requires treatment our technicians are fully capable and will have a full array of products on the truck to combat even the most persistent fungus and lawn disease. We will always work with you to solve any problem. REMEMBER PREVENTION IS THE KEY TO AVOIDING INSECTS, WEEDS, OR CRABGRASS OR FUNGUS AND DISEASE ISSUES. It is very important to remember that it takes extensive training and experience many times to properly diagnose a lawn fungus. Different kinds of funguses cause different diseases. Many diseases come at different times of the year and weather conditions will affect things considerably. Please see below some of the most common lawn diseases. 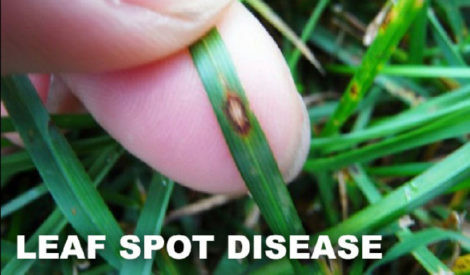 We found the most common here on Long Island are Red Thread Disease, Brown Patch Disease, Dollar Spot Disease and Leaf Spot Disease. Red Thread is a summer type of lawn fungus. It usually exists from March to November. This is a lawn disease that exists with an under fertilized lawn and it occurs mostly when the weather has been rainy or damp and humid. Leaf spot Disease is caused by a certain type of fungus that appears mostly in the early spring. It mostly happens when there is lots of new growth. The new growth gets infected and causes these spots to occur on the lawn. It is important to aggressively go after this disease every three weeks to stop it and reverse the damage and get good control of it. Sometimes once the disease gets advanced and gains a foothold it will require a good slit seeding to introduce new grass material and different more resistant grass blends that are not susceptible to disease into the lawn again. This particular disease will not appear until the plants experience some kind of stressful event like drought, and it normally occurs in the months of June or July as a result of summer heat. This brown patch disease can be greatly reduced with a good balanced lawn care program of at least 4-5 applications. Our lawn care program will protect your lawn from summer and brown patch conditions all year long. Dollar spot is more common in certain types of grasses than others. The disease appears as small circles of brown patches almost like a bunch of small coin dollars. Bluegrass would be an example of a grass that is susceptible to dollar spot. Environmental conditions favoring the dollar spot disease are very warm days with high humidity and prolonged wet conditions like dew. This disease generally takes place from June to September. 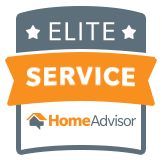 Call today for a complimentary service manager to visit with you on your property and give you a free analysis of your lawns condition. We will offer you a proposal for our services and can start servicing your lawn right away. We offer pre-paid discounts for full program customers.